As discussed in Part-2, we have came up with a third part of this series that highlights some of the important areas that need to be taken care of while setting up an eCommerce store. The eCommerce world is one of the most lucrative industries to be involved in and lot of people endeavor into starting up their own online business. 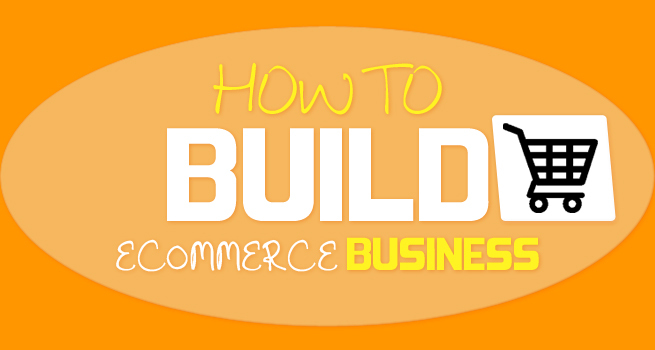 eCommerce website owners often ask “what does it take for a website to succeed?” There are a lot many factors, but below I have mentioned a few ones which you just can’t think about avoiding. Customer Experience- What makes a five-star restaurant better than a two star? I would say the whole dining experience. Who would want to go to a place with bad service and poor ambiance even though the food tastes like a heaven on plate? User or customer experience plays an important role to the success of online business too. As a business owner, one of your priorities involves customer satisfaction. Regardless of what you sell and how you sell it-whether via a brick and mortar shop or via eCommerce websites- you know that if a customer isn’t happy with the purchase, you shouldn’t expect repeat business. Site Management- Website management is a core aspect to concentrate on while designing an eCommerce store. Getting your site ready for business requires preparing the website instantly. As a store owner, you need to constantly monitor whether your website meets customer’s needs and has the necessary resources and protections to operate smoothly. Integration- In order to enhance your website with an all-in-one feature, you need eCommerce website integration. These integrations provide a highly functional and appealing look to your website. Integrating eCommerce into your website also facilitates it to not only conduct sales but also to automate business processes in an easy way. Using a combination of local and online processes, eCommerce integration is used to maximize their revenue opportunities and improve efficiency. Marketing- eCommerce marketing techniques utilizes social media, emails, articles/blogs, PPC ads etc to increase traffic and sales. Marketing is much more than just selling products on the web. SEO and PPC are two most popularizing platform for marketing eCommerce products. Having an eCommerce marketing website will help you take orders all day long without you having to be there. Staying in touch with customers is very important. With eCommerce marketing, you will be able to process each and everything automatically using these platforms. Google adwords, SEO digger, Google sets, AdCenter Keyword mutation tool are some important tools that can be used to achieve effective Internet marketing strategy. Utilities- eCommerce utilities like website optimization, UI optimization, Ajax are combined to increase website interactivity. Example- Ajax allows for a more responsive web experience as it allows your web page to exchange small amounts of data with the server as you view the page. Researches show that 16% of most online visitors will leave a site that takes over 10 seconds to render. Fortunately, there are ‘n’ number of ways to implement on while designing an effective eCommerce store, however if you give special attention to the ones mentioned above, your store will definitely drive more sales with increased number of customers. The next part of this series updates the 10 biggest eCommerce mistakes that web owners normally do while operating eCommerce business. So, how you can avoid them? What measure you should take? Wanna know, so please be in touch with us! !